Don&apos;t worry, we have your back covered! 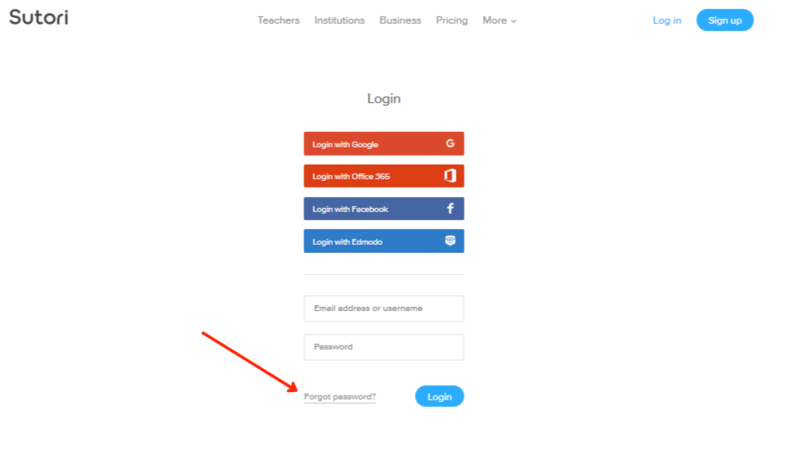 If you no longer remember your password, you can reset it on the login page (see screenshot below). If you signed up with Google, Clever, Microsoft or Facebook, you can reset it by clicking on the sign up links first. You can also reset a password when logged onto your account through your profile page.